In stock tiny AC Switchmode 5 volt 2.5 watt wall mount regulated power supply, with 5V 500mA DC output. Wall plug Universal AC regulated switchmode 5VDC power supply, 500 mA maximum. This is a compact, high quality, 5V switchmode regulated power supply with stable output, 2.5 watts continuous. It has a fixed AC plug. 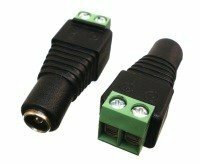 Polarity reversing adapter for center-negative products. 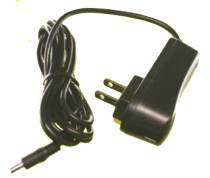 Switchmode power supply with fixed 5 volt output voltage.